I did it. 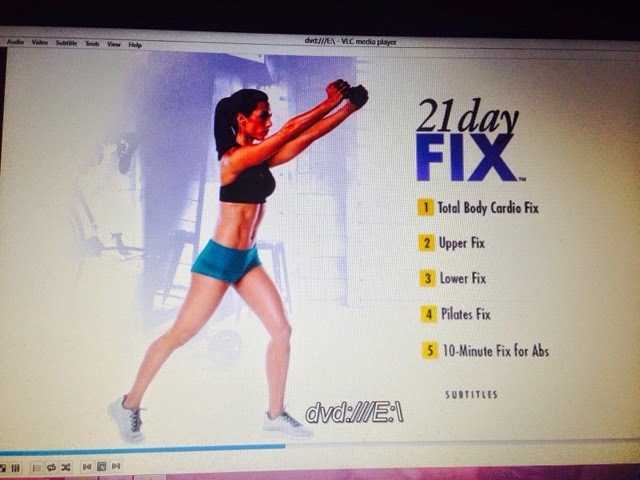 I finished round 1 of 21 day fix. I am so proud of myself. And I Lost 5 Pounds. My goal was actually 6 but I am not going to beat myself up for one pound. I did the best I could and worked really hard. I mostly followed the meal plan except for once or twice. I still ate healthy but I probably took one more serving then I should of. The carbs are the things that get me. But, I wasn't going to beat myself up over doing that. The point is that I stuck to the food plan. I did good with the exercise and I really believe I've made it a habit. It helped me to get through a lot of stress that I've been under the last few weeks for various reasons. I also notice a change in my body. I am losing inches. I would call that a non scale win. I did not exercise every single day. But, I tried to exercise at least 6 days a week. Whatever workout I did not complete I would do on Sunday. Now On to Round 2 of 21 Day Fix. Workout 6 times a week. With one rest day if needed. Try to use Heavier weights and push myself in the workouts to do the more advanced version of the workouts.